The incidence of gout, a painful affliction of the joints, has increased in both men and women in the last 40 years. 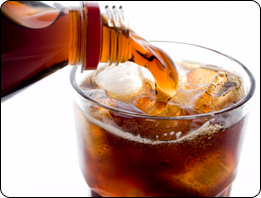 This coincides with the increased consumption of fructose in foods such as soft drinks and fruit juices. Fructose is known to increase the production of uric acid, the protein breakdown product responsible for gout. In a study of female nurses (JAMA. 2010;304:2270-8), those who drank two or more servings of soda or fruit juice daily had more than twice the incidence of gout, compared with those who had less than one serving. As a further warning, gout is strongly associated with a higher incidence of high blood pressure, diabetes, heart disease and kidney disease. Another reason to beware of drinks heavily laden with sugar.